An Ode detailing some of the highs and lows of being a Bike Mechanic. Features a cartoon of a Male Bike Mechanic. 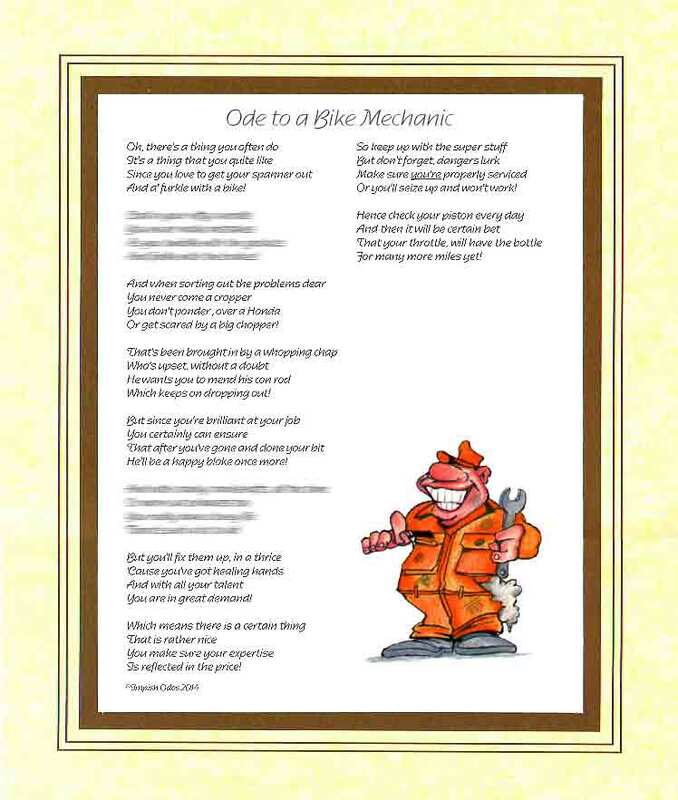 This ode is suitable for male bike mechanics everywhere. 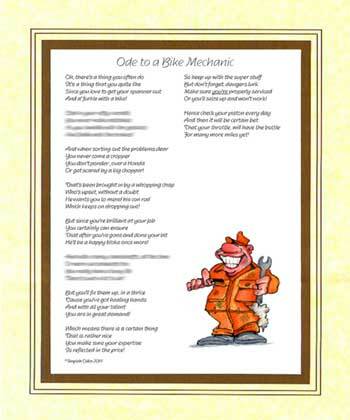 We strongly recommend that you personalise this Ode for FREE by choosing your own title ie/ "Ode to Carl - The Brilliant Bike Mechanic" you also have the option to send us a favorite photo to replace our graphic which will create a really special and personal gift. If you do not require a personalised title it will be printed as appears below. Personalise the Ode further and Email a photo to us and we will replace our graphic with yours. All unframed Odes are 10" x 12" in size and come ready mounted in a cream and gold card mount. They are delivered with a protective 2mm thick card backing and presented in a clear plastic protective cover. All our Odes are printed on high quality paper and in high resolution.